Built to provide shooters with an extra-wide sight picture, the Holosun HS510C Solar Open Reflex Circle Dot Sight provides users with an easy aiming system, thanks to the simple aiming point overlaid on a single plane. 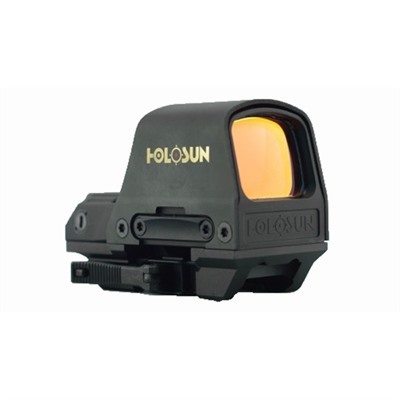 Constructed using a shock-resistant hood that's reinforced with titanium, the Holosun HS510C Solar Open Reflex Circle Dot Sight provides unlimited eye relief and is parallax-free, ensuring that you can get on target quickly and easily. The light is powered through an internal battery and an externally located solar panel, providing a running optic in any environment. In addition to its versatile, rugged construction, the Holosun HS510C Solar Open Reflex Circle Dot Sight also allows owners to select between dot, ring and dot-and-ring reticle options, depending on their personal preferences.